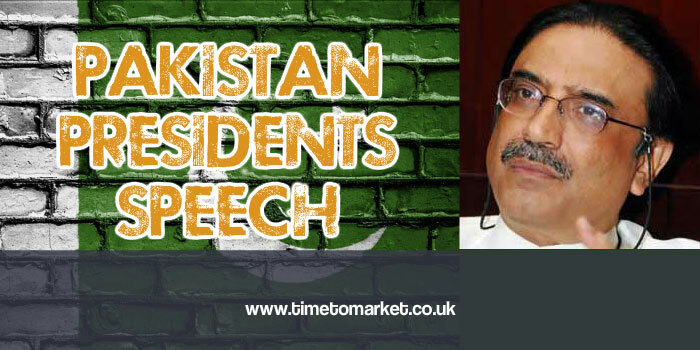 The Pakistan President speech was greeted with heckling, shouting and booing when the President, Asif Ali Zardari, gave a speech at the International Conference Centre in Birmingham at the weekend. But it was shoes that did the talking and received all the headlines. One determined sole protester managed to throw a shoe at the President in mid-speech. And then…throw his second shoe! Absolutely leathered. We are familiar now with the art of shoe throwing at an unpopular speaker. Just remember the last big occasion when it was President Bush on the receiving end of a journalist’s shoe in Baghdad. Another sole protest. Asif Ali Zardari’s audience directed their feelings at him on account of his presence in England. As floods lash much of Pakistan, he’s most definitely an unpopular speaker right now. Natural events meant that he was on a no-winner. He clearly wanted to stand up to the adverse comments about Pakistan’s security measures made by Britain’s Prime Minister, David Cameron. So, that involved a UK visit. At the same time serious storms brought flooding to Khyber Pakhtunkhwa, Punjab and Sindh provinces. But, his Birmingham audience–part of the Pakistan diaspora–thought that he should have been in Pakistan to direct relief efforts. His spokesmen attempted to explain that Pakistan’s Prime Minister has the situation under control. But that didn’t wash. The experience of George Bush in New Orleans or Barack Obama in the Gulf of Mexico has yet to be learned. Presidents have a tie to a country beyond their purely management functions. The Pakistan President’s speech in Birmingham is of no value to the 14 million people affected by floods in Pakistan. Or, indeed, the mass of voluble protesters feeling their pain. Because talk is cheap. So, yet another unpopular speaker. 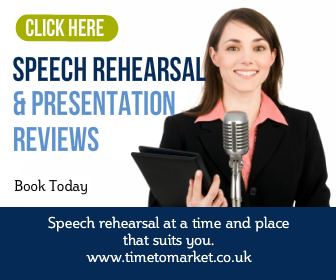 You can always discover fresh ways to manage questions, if not heckles, from your audience. Perhaps you can discover how to manage interruptions from your audience? 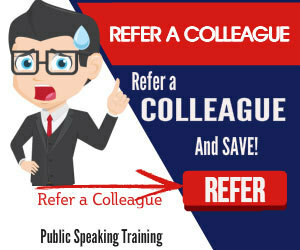 So why not join us for a scheduled public speaking course. Or, if you want an even more personally productive day, why not consider a one-to-one coaching session? Please don’t hesitate to get in touch. The flooding in Pakistan is a disaster. It seems that very few states are committing assistance. Why doesn’t China rush in to save those poor souls? I wish I knew what I could do to help. Does anyone know where to donate funds?